The Woodwards was recently awarded ‘Highly Commended’ at the East Midlands LABC Building Excellence Awards. Choosing Stirlin for my kitchen garden extension was a great decision. I honestly can’t praise the whole team enough, even my neighbours commented what great guys they were. Stirlin worked exceptionally hard to deliver the project, on time and on budget, what I have now which is a fantastic family space. Following a competitive tender process, Stirlin were appointed to carry out the renovation and extension to an existing property in Balderton. 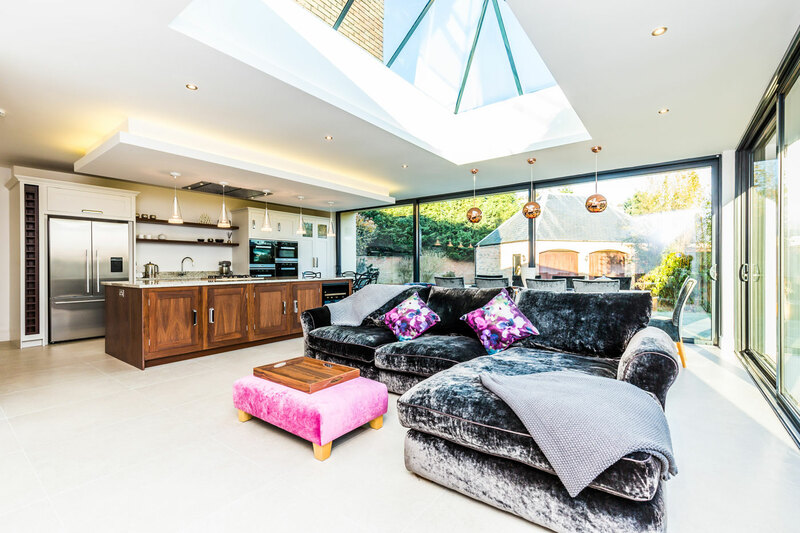 The contemporary extension had been designed to maximise the use of the kitchen and dining areas, by creating a direct link to the surrounding gardens, as well as providing an increased utility room, suitable for modern living. Stirlin provided a fully managed service, including all construction, plumbing & heating, electrical and decoration works, as well as assisting with the bespoke kitchen installation.